Every student ends up stressing out about their assignments. “I know I wrote it myself, but what if some kid on the other end of the world had the same idea?” You write and rewrite the same content, but then the inevitable question pops through that paranoid head of yours again. You could just ignore it… or you could use a student plagiarism checker, to make sure. Plagiarism – What Is That? A plagiarized work is a text that features copied content from another text, without making proper references or giving credit to the original writer. The writer whose work got plagiarized is usually unaware that his/her text has been ripped off, and that other people are receiving credit for a paper that is not theirs. To solve this plagiarism problem, the world came up with a solution. Basically, every student, screenplay writer or freelancer will have to turn their papers in for a plagiarism check to ensure that the works are 100% original. Fortunately for students, it is now easy to find free plagiarism software that will extinguish their fear. Here are our recommendations. 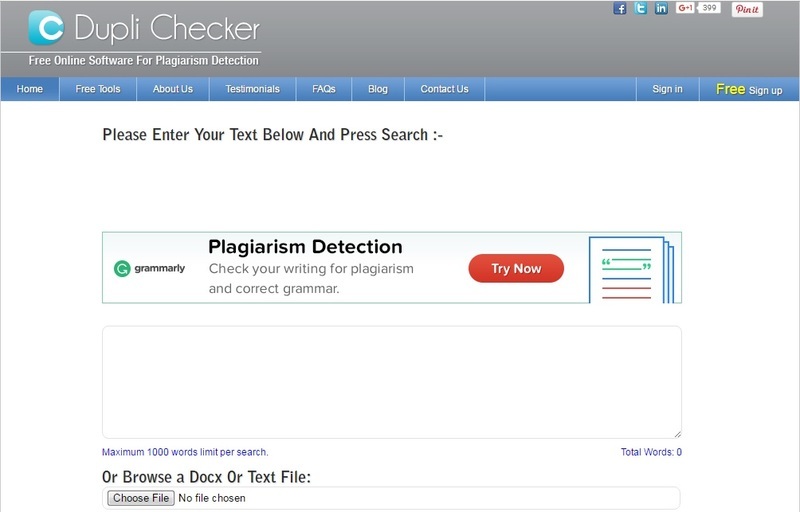 Plagiarism Checker can fish out a duplicate anytime, anywhere. 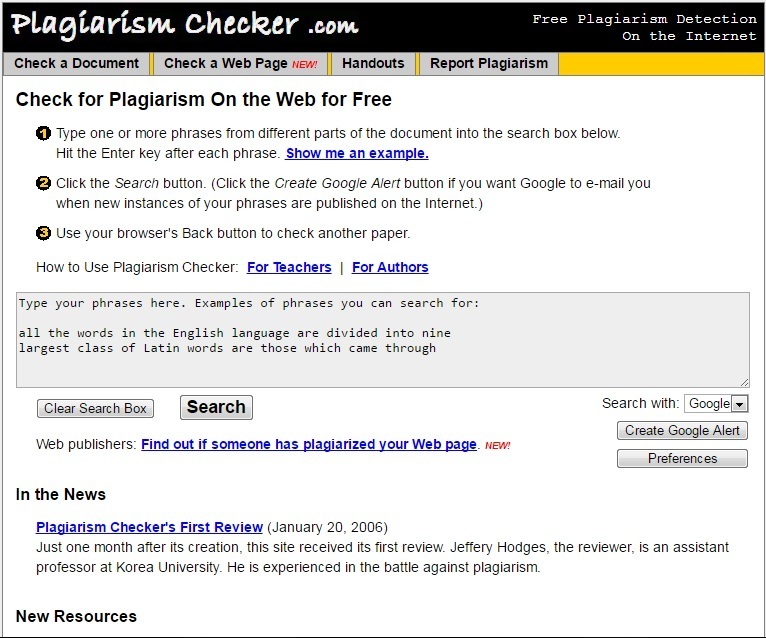 A reliable free plagiarism checker for students, it has the ability to check documents, articles, handouts and even web pages. The instructions are detailed and easy to follow, making this the first choice for students and teachers everywhere. As a teacher, you can check whether or not your student has turned in a plagiarized paper, and as an “Author,” you can see whether or not someone dared to steal your work online. The good part is that it doesn’t require any installations or downloads. The downside is that it only checks phrases, so for each new sentence, you will have to hit “Enter. 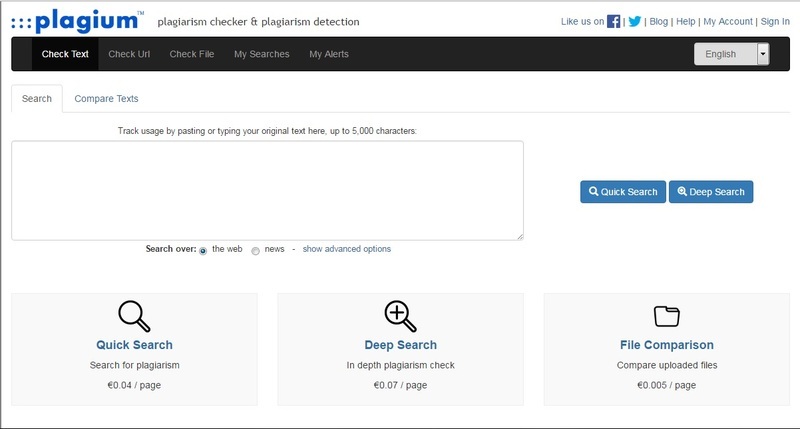 Plagium is an easy to use free student plagiarism checker, and it can show you the results in a matter of seconds. This website not only checks content available on the Internet, but it also goes through social media posts such as Twitter, Facebook and so on. Plus, you will see that it’s equipped with various other tools that may come in handy and that it can scan up to 5.000 words per search. All you’ll need to do is to copy your text and paste it in the box. 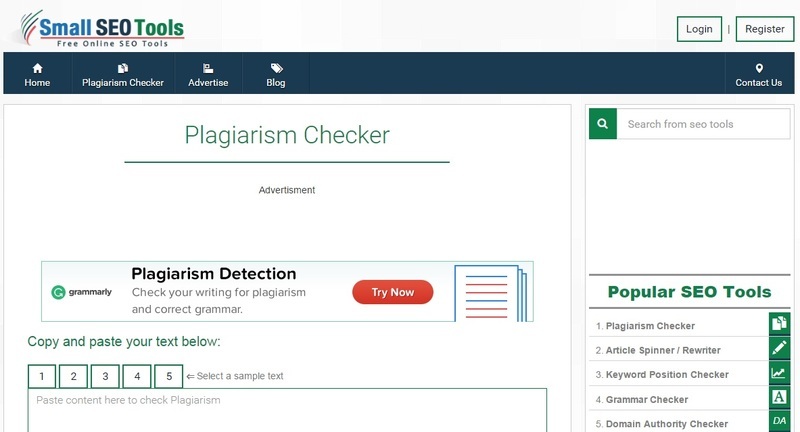 It’s easy, accurate and an overall great plagiarism detector for students, teachers or professionals who may want their works checked. It will continuously update you on the progress, offering you reports and accurately scanning every source. Plus, it doesn’t ask for any installation or downloads to use it. The downside is that, just like duplichecker, it’s only limited to 1000 words per search, so you will have to keep hitting enter if you have a longer thesis. However, the extra features will not fail to impress, and you won’t be able to let go once you start using it. 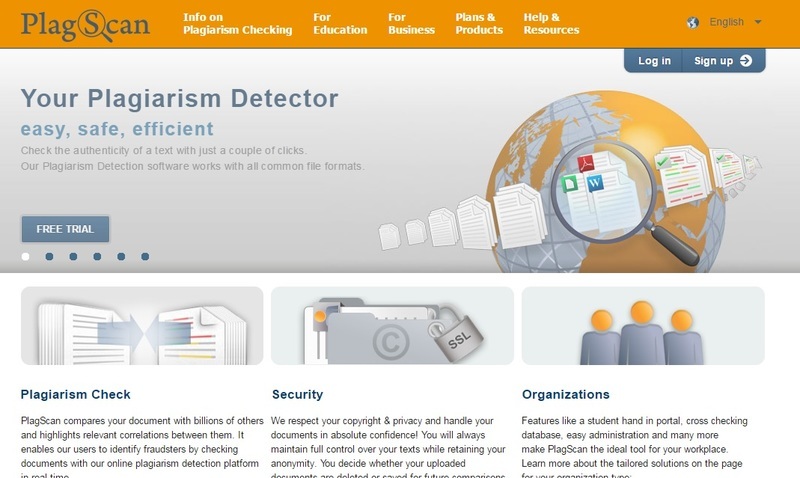 The software on Small SEO Tools is a perfect student plagiarism checker because it automatically deletes any records of the search that was made. It will carefully scan through your text and look for unoriginal structures, letting you know of the source where the text was copied from. Plus, it’s free! No strings attached. No catches. And it’s also easy to use. Copy-paste your text there and you’re done! Plus, the website also offers various services, such as grammar check, spell checkers, and many others. Technology nowadays no longer lets you worry about plagiarized content. By using these convenient tools, you can make sure that your text will be original and free of plagiarized content. Many websites even offer reliable content that is free of plagiarism from the very beginning – you will just need to know where to look for them. For more services and reviews, go on TopWritingReviews.com.